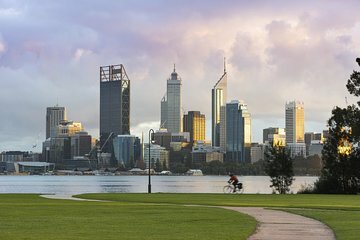 Customize your sightseeing itinerary while saving money on Perth tourist attractions with a Perth Sightseeing Pass. Select from several pass options, which include a round-trip airport transfer, a half-day tour on the Perth and Freemantle Explorer, and your choice of one, two or three full-day sightseeing trips from Perth. See the wildflowers in bloom at Kings Park botanical gardens and visit Cottesloe Beach on your coach tour. You'll have six optional destinations to choose from! Take the hassle out of planning your visit to Perth's top attractions, and save money when you book a Perth Sightseeing Pass in advance. Each pass option includes a round-trip airport transfer, which operates daily, plus a morning half-day tour of Perth and historical Freemantle on the Explorer, with an optional Swan River Cruise. In addition, select one, two or three full-day guided tours to local attractions such as: the Margaret River region to taste local wine; sacred Aboriginal sites at Wave Rock; a tree top walk among the Valley of the Giants; sandboarding down the dunes at Lancelin; and the wildflowers of Western Australia (see Itinerary for details). Departs every Monday and Thursday at 8:00am. Traveling through the Guildford and the Swan Valley to the historic town of New Norcia, Australia's only Benedictine Abbey. Explore Nambung National Park, home to the limestone pillars of the Pinnacles with stops along the way to see the wildflowers in bloom (seasonal September - December). Tour returns approximately 7:30pm. Departs Daily at 8:00am. This fabulous day out explores the world renowned Pinnacles Desert, an amazing moon like landscape. Other highlights of this exciting day include sandboarding on huge white sand dunes, a visit to Caversham Wildlife to photograph koalas and hand-feed kangaroos and the rock lobster fishing town of Cervantes. Tour returns approximately 7:30pm. Departs Tuesday, Friday and Sunday at 8:00am. A journey through the Darling Ranges to the historic township of York, this tour gives you insight to the wheat-belt region. See the Dog Cemetery where working dogs are laid to rest, be amazed by the unusual shapes of Hippo's Yawn and the Humps, before traveling to Wave Rock where you'll learn about the Aboriginal Dreamtime, and sacred sites. Finish the day with a trip to a wildlife park, or to view an antique lace collection. There will be stops along the way to admire the seasonal wildflowers. Tour returns approximately 8:30pm. Wednesday departure available from September to November. Departs Monday, Tuesday, Thursday and Friday at 8:00am. Known as one of Australia's finest wine regions, the Margaret River Region is also blessed with stunning natural beauty. Not only will you sample some great wines but also see the Busselton Jetty, the longest wooden jetty in the southern hemisphere. Explore the township of Margaret River with its quaint cafes, galleries and shops before touring the gothic-like Mammoth Cave. Head further south to the stunning Boranup Forest and travel to the coast to see the dividing point between the Great Southern and Indian Oceans.Tour returns approximately 9:30pm. Departs Wednesday at 8:00am. A fabulous tour for nature lovers, you will experience the thrill of walking high up in the canopy of the Valley of the Giants. Challenge yourself to climb to the viewing platform at Diamond Tree and visit Kodja Place to learn the spirit of 'life in the bush'. You will also visit the 'apple town' of Donny Brook, enjoy a picnic lunch and see the stunning coastal scenery of William's Bay.Tour returns approximately 10:30pm. Departs every Monday, Wednesday, Friday and Sunday at 8:00am. Search for everlastings, kangaroo paws, orchids and more on this day tour. A botanical guide is on-board to assist in identifying rare and delicate species. There is ample time to identify and photograph flowers and a complimentary wildflower booklet on Western Australia’s unique wildflowers is included The itinerary and destinations are subject to change depending on the location of the best wildflowers. Tour returns approximately 4:30pm. Hotel: Ibis Perth, centrally located in the city. Good location. Day Tour: 4WD Pinnacles, Koalas and Sandboarding - well coordinated and tour guide/driver is knowledgeable and experienced. Truly enjoyed the sandboarding experiences! Very enjoyable and relaxing holiday. Adams Pinnacles coach tours pass 2 was definitely well worth cost. Transport to and from airport and day tour to Margaret River and half day Perth Fremantle excellent. Drivers and staff at Adams superb. The pass was great and the tours excellent. I rang with an enquitpry and it cost me 8.50 as I was put on hold. I wasn't real happy about that. I enjoyed sightseeing around perth. My trip it self was fantastic. But to get the reservation with Pinnacle was a horrible experience. I would be glad to share more on the detail if your customer service department would like to hear more. I would not hesitate to use or recommend a Perth Sightseeing Pass. It was value for money and the whole operation was well done! Save cost and free to choose from several tour destinations. Return airport transfers is a plus point. Very good value. Airport transfers were excellent. We enjoyed the tours to Giant Trees very much, but found it too long and not enough time off the coach. Coach driver was excellent but very concerned at his 15 hours day. Margaret River was lovely, but the same concerns about the excellent driver.